Cand added significant graphical improvements. On one side that made our artist samuncle very happy, on the other hand this will keep him busy, since now he has to improve all tracks to make use of the new features. Unitraxx added an online lobby, allowing people to login, declare friends, and even store achievements. All in preparation for a full online experience ... which will keep our team busy. 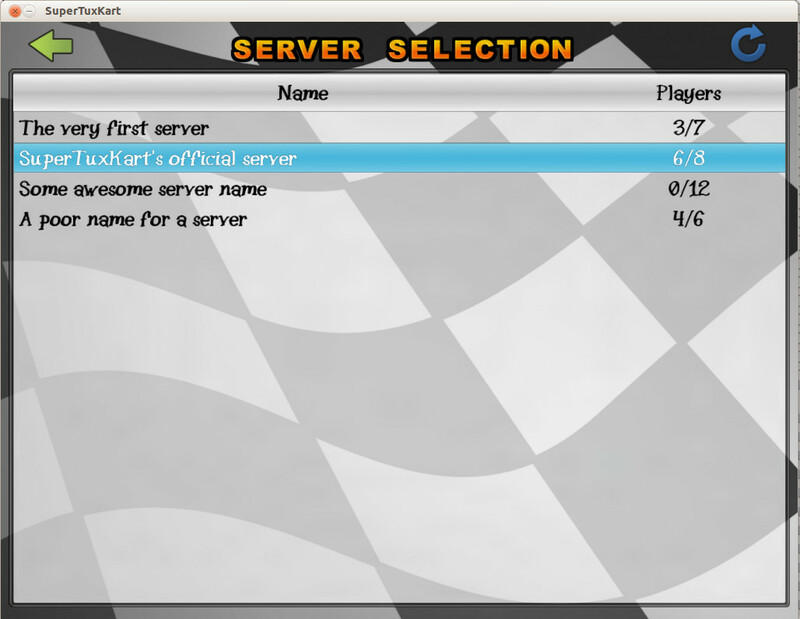 Hilnius added networking support, allowing people to connect different computers and play against each other. The first online game was already played between Arthur and Hilnius. Also a big thanks to our mentors - Stephen, Funto, and Auria, who helped and supported our students. Their guidelines and experience was important to give us the excellent outcome we had. A special mention also to Arthur, who was the go-to person on IRC, tirelessly motivating our students, keeping them entertained with his puns, and acted as a tester. Arthur is already organising the 0.8.1 release. And the important news item here: we can now declare the string freeze. This means, no more changes to any strings in the game, and all translators can start work on their translations! deveee who tirelessly fixed bug after bug, earning himself the title 'Bug Fixer of the Year'. Funto's and Yasin's soccer mode. Using the bubble gum as shield thanks to Johannesr1. Grand Prix saving thanks to unitraxx (contributed before he started working on GSoC). 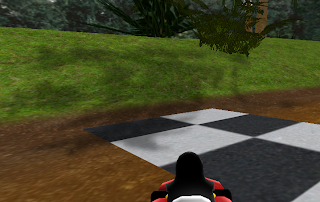 The next release will merge in cand's graphical improvements. This will require a fair amount of work on tracks to improve them. Samuncle has developed a new style for this, and he has started to create a great looking track following the new guidelines. This takes a huge amount of work (creating new textures, new models, ...), so any support here is appreciated. At this stage I am not entirely sure if this release will be called 0.8.X, or 0.9. The latter would make more sense, since it will visually be a big change, on the other hand 0.9 was according to our milestones the online version (which would then need to be 0.10 or so). Well, numbering is not important - 0.X it will be. While samuncle is quite keen on that version, the full graphically improved version of STK might only arrive after 0.X. We will try to release early versions with only some new tracks, so that you can all see where we are heading to. We really want to have more artists working on STK, so showing off a glimpse of what STK can look like will hopefully motivate more artists. After that we will start working on the online mode in earnest. Even though thanks to GSoC we have a solid base to build on, there's still a lot to be done. We have to merge the work from hilnius and unitraxx. And while they did a good job, there is still a lot of testing and polishing to do. One important outstanding thing (which was not part of hilnius' task): hiding latency by using rewinding. Without this STK can be played with 'good' network conditions, but not reliably and fluently enough under real world conditions. At this stage we are not sure what 'good' conditions actually mean - LAN with cable only? LAN with wireless connections? WAN? A lot of things to test. True enough, one game between two people in France and Norway was already played without latency hiding. Depending on time we might release some LAN-only networking versions before. Also, depending on features we want to include, we might also need at least one dedicated server for the lobby, and ideally to prevent cheating perhaps also dedicated online servers - though discussing, testing, and evaluating various approaches are the things that will be on our todo list over the next months. Now, I will not present a timeline here. After all, STK is a hobby project for all of us, and delays do unfortunately happen. But for us it feels we are getting close to the long awaited 1.0 release. As always, we can use any help to speed things up - bug fixes, coding new features, testing, documenting, 2D / texture artists, 3D modelling, ... For example, with the upcoming 0.8.1 release we are very interested in a 'PR Manager' - someone who can write regular tweets for us, perhaps maintain a Facebook page, advertise on other web pages, ... No programming knowledge required, but you should have a good grasp of English. You need to be able to build STK yourself, which luckily is not complicated (and we are happy to give you a hand). So, don't hesitate to contact us - either on our forums, or for more immediate answers on IRC (#stk at freenode). Also Google has announced that there will be a Google Summer of Code 2014 - the 10th one, a nice round number. While I can't guarantee that we will be selected again, our experience with GSoC 2013 was great, so we will try to be part of it again. better made it long but best, i hope for you guys patiently work ! Because they are so cool ! Thank you for the great game you made! I so can't wait till online mode comes avail. Hello, when STK 0.8.1 please ? 98 % in milestone, perhaps tomorrow ?